Where to find Civitavecchia hotels near an airport? 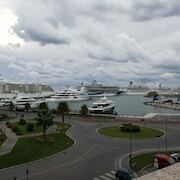 Where can I find hotels in Civitavecchia that are near tourist attractions? 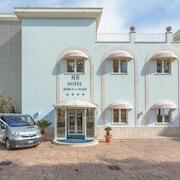 Visitors can find an extensive range of room options in Civitavecchia. On our handy booking pages you can browse 30 accommodation choices within a 0.1-kilometre (0.06-mile) distance of Civitavecchia's downtown. 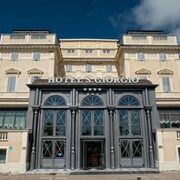 The Hotel San Giorgio and Hotel de La Ville are among the most centrally located hotels in Civitavecchia. The Expedia team fully appreciate that travelers possess varying vacation budgets. So if you're seeking accommodation at the budget end of the scale, the Civitavecchia area features some solid options. The Hotel Traghetto is 0.6 kilometres (0.4 miles) from the main part of Civitavecchia, while the Bed & Breakfast Bel Sole is 0.9 kilometres (0.6 miles) away. 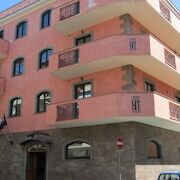 Some more options in the cheaper range of Civitavecchia accommodations include the B&B Il Mare and the Samarcanda. 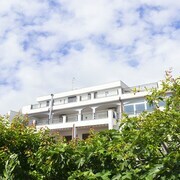 The La Pecora Ladra Resort is located 30 kilometres (20 miles) from the main part of Civitavecchia. Another option is the Podere Giulio, which is located 25 kilometres (14 miles) away. 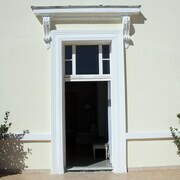 Other Expedia-registered hotels are the Hotel Cavalluccio Marino and the Villa Tirreno. 30 kilometres (18 miles) away from Civitavecchia is Ladispoli, where visitors can enjoy Castello di Palo and Palude di Torre Flavia. Should you wish to spend a few nights in Ladispoli, check out the room rates at the Hotel Alle Tamerici and Hotel Villa Margherita. Or, you could consider staying in Santa Marinella, 12 kilometres (7 miles) to the southeast of Civitavecchia, where you can pick from the L'Isola and Il Rifugio dei Cardinali. Should you choose to stay in Santa Marinella, a couple of sights worth adding to your itinerary are the Castello di Santa Severa and Castello Odescalchi. Get your fix of local sport by making a journey to Olympic Stadium, which is 60 kilometres (36 miles) to the east of Civitavecchia. Stay nearby to the action at the Rocco Forte Hotel De Russie or the Kaire Hotel. Leonardo Da Vinci Airport can be found 50 kilometres (31 miles) from Civitavecchia. 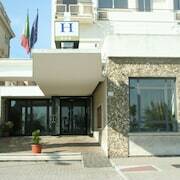 Visitors who wish to stay nearby, you can easily book a night at the Hilton Rome Airport or Hotel Seccy. What are the most popular Civitavecchia hotels? 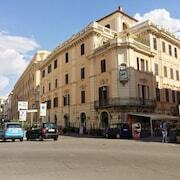 Are there hotels in other cities near Civitavecchia? What other types of accommodations are available in Civitavecchia? Explore Civitavecchia with Expedia.ca’s Travel Guides to find the best flights, cars, holiday packages and more!